Scorpio’s mysterious and intense nature is reflected in the wavy hematites and the red wine beads combined in this sterling silver necklace with Scorpio’s symbol. If your Sun sign or your Rising sign is Scorpio, you may feel attracted by hematite and you will certainly benefit from its energy (this can also happen if you have various planetary points in Scorpio or a dominant planet in that sign). Hematite provides a protective shield for people wearing this stone, so negative energies are deflected as if they bounced off the hematite. 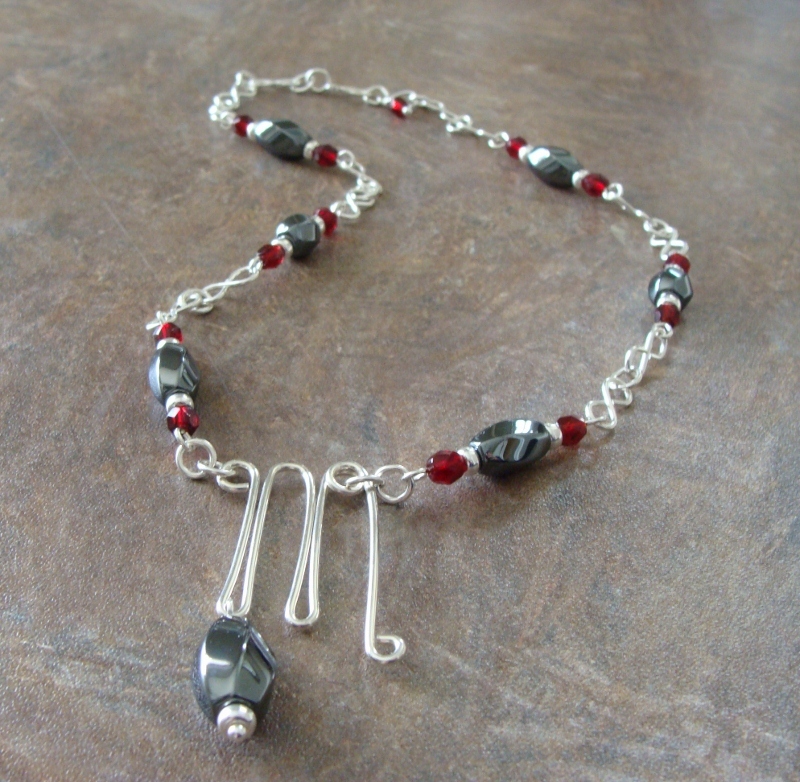 In addition, hematite helps balance the root chakra (Muladhara), not only by bringing a firm connection to the material world, but also by helping unload intense energies in order to transmute them. The length of this necklace is approximately 42 cms (~ 16.53 inches), plus 6 cms (~ 2.36 inches) added by the pendant-like Scorpio symbol and central hematite. 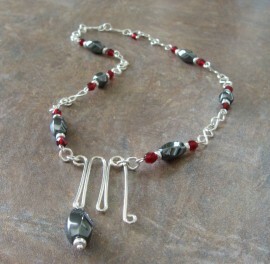 This product has been sold ... let me know if you would like a similar necklace.